Lock Medic was founded in 2003 by Ben Turner with a beat up ambulance as a service truck and a bunch of junk he bought from the next of kin of a deceased locksmith in Missouri. 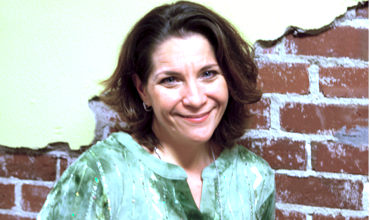 Maria Moore came along in 2004 and has been with the company ever since. At this point we’d probably have to burn the place down to get her to leave. Others have come and gone over the years. . we were 6 before the crash of 2008. These are the die hards, the hold-outs, the keepers of the flame. . . the last scions. 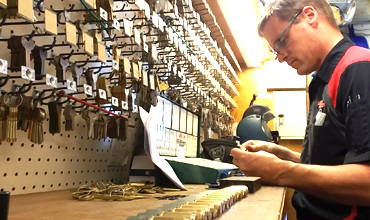 Ben Turner is a first generation locksmith who thought this would be a cool job to pay his way through college while working on a degree in journalism. The excitement of a day job that involved getting paid to break into stuff eventually eclipsed the tedium of academia, so he put his scholarly dreams on hold in lieu of a blue collar career. What little bit of college knowledge got stuck in his head is now utilized writing content for this website and annoying people on various automotive and aircraft forums. He is a father of one small human and responsible for the well being of a handful of dogs and cats and a few random Subarus owned by family and friends. He holds a CRL endorsement with ALOA and is a couple of frustrating electives away from CPL, and gives a check to the National Safeman’s Organization when they ask so he can claim to be a member. 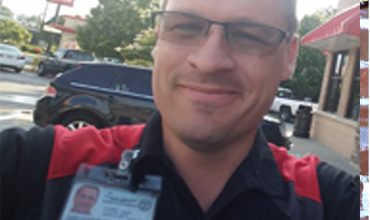 He is an accredited instructor for Tennessee’s Locksmith Licensing program and teaches a snooze fest that passes for a course on wafer lock reading, complete with PowerPoint slides. He’s also a licensed private pilot and makes a decent omelette. His favorite color is red and his measurements are 44/34/36. Maria Moore is also a first generation locksmith and both of her kids had enough sense to get degrees doing other things. She decided working at Home Depot and Advance Auto parts were not frustrating enough so she came to work at Lock Medic in 2004 for a little extra excitement. After hearing she’d passed up numerous chances for a better job than being a “shop chick”, Ben closed the storefront so she’d finally have to move on. She was the first face and voice most of our customers ever saw, and is missed by many. But keeping her was an exercise in selfishness, and she long ago earned her freedom from the toils of working retail. Be free and sing, little bird. Over 16 Years in Business. Serving Loudon and Monroe Counties in Tennessee.